Local environmental activists Save Cayman said the nomination was a victory for thousands of people who are fighting to protect the reef system in the harbor from the cruise project. The nomination has no legal power to protect but it does have influence. It will ensure that if the Cayman Islands Government continues to press ahead with the cruise project, it will be doing so on the world conservation stage. Mission Blue’s target is to safeguard 20% of the ocean by 2020 through the creation of a global network of marine protected areas. During August the Cayman Government announced it was moving full-steam ahead with plans to build the cruise berthing facility in George Town harbor, but would move the piers into deeper water to allay environmental concerns. Plans for the new deeper water plan have yet to be revealed to the public. Early reports suggest the project will now hit the $250 million mark. We are still yet to see what impact this Hope Spot status has on the new plan. However in the past year companies like Carnival Cruise Line have ordered more mega-ships, making the logistics of moving so many people via tenders unfeasible. 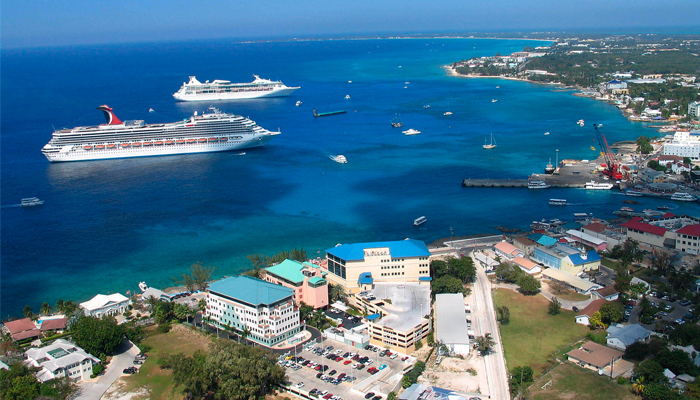 It’s believed that Cayman must have new piers if it wants to remain in the cruise business in a meaningful way.